Peter Dawson was third generation of a family of Scottish distillers that began with his grandfather sometime in the first decade of the 1800’s. 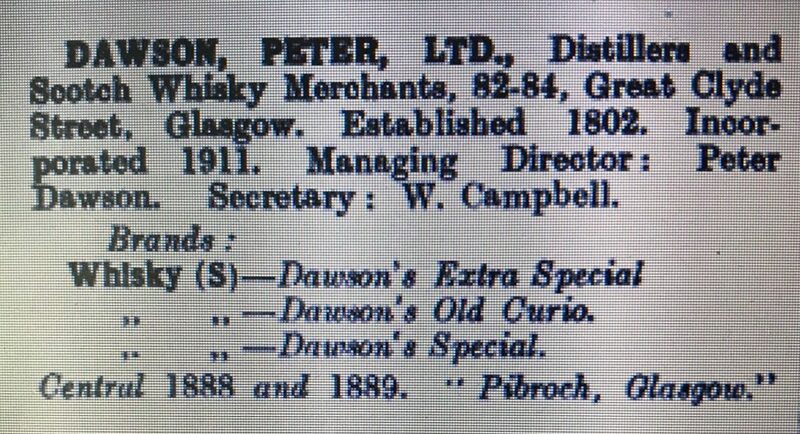 According to Whisky.Com, he established Peter Dawson Ltd., in Glasgow in 1892. A distilling and blending company, between 1893 and 1924 they were associated at various times with a number of Scottish distilleries including Convolmore, Towiemore and Balmenach. By 1925 they had been purchased and were operating as a subsidiary to the “Distillers Company, Ltd.” Guinness acquired the Distillers Co. in 1986, and they merged with Grand Metropolitan in 1997 to form Diageo. Today, Diageo’s web site does not list Peter Dawson as one of their scotch brands. 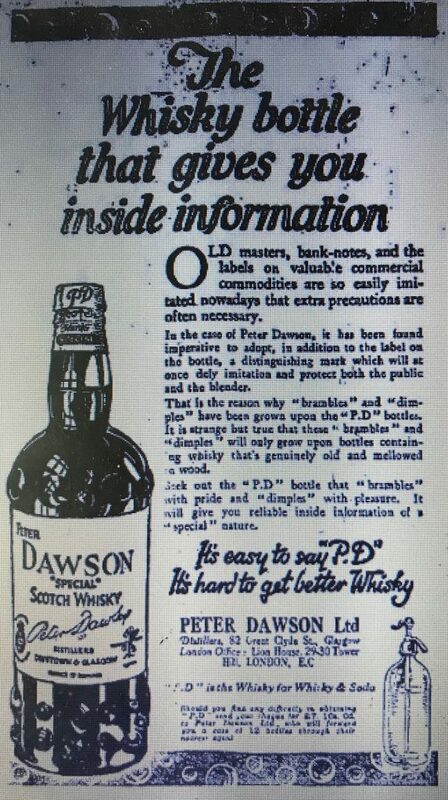 It appears that the Peter Dawson brands began appearing in the United States sometime in the early 1900’s. On June 16, 1903 they registered their label with the United States Patent Office (10,105) and their newspaper advertisements began appearing in 1909. The first one I could find was in the January 14, 1909 edition of the Chicago Tribune. The Dawson taste for old scotch whisky is the cultivated taste. Peter Dawson Scotch Whisky is bottled in Scotland and has a flavor that will be a revelation to you. Kindly but firmly refuse substitutes at bars, hotels, cafes and on trains. Like most European based whiskies, the Peter Dawson brands continued to make their way into the United States after the start of National Prohibition. 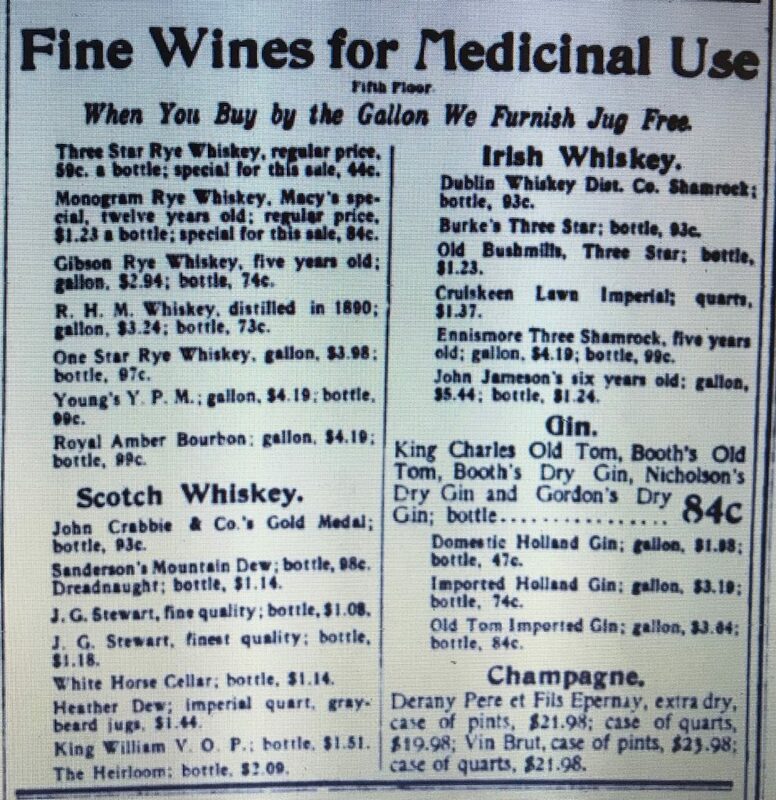 An article printed in the March 10, 1925 edition of the Casper (Wyoming) Star Tribune described a confiscated shipment of Peter Dawson Scotch. 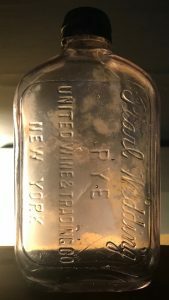 Ten quarts of Peter Dawson Scotch liquor, shipped out of New York City to F.J. Alder of Casper Wyoming, was yesterday seized by federal prohibition officers. No such man at the address has been found. The liquor, shipped by express, was packed in a wooden shoe box which had been filled with sawdust and tin packing strips had been nailed around the box to reinforce it. C.F. Peterson and Otto Plaga, federal agents, confiscated the shipment and sent it to headquarters of the department at Cheyenne. 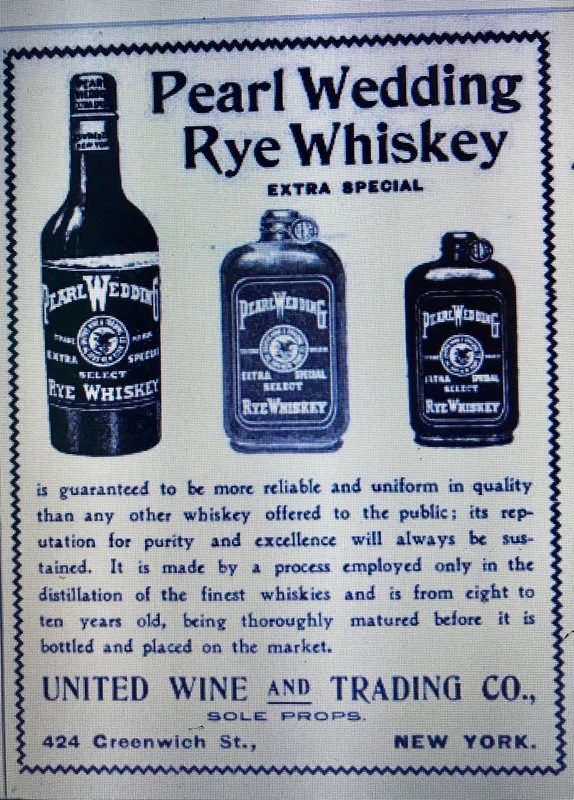 Following the end of Prohibition, Julius Wile Sons & Co. was appointed as Dawson’s United States distributor. The following advertisement appeared in the December 11, 1933 edition of several U.S. newspapers. Wile was still listed as their agent and/or distributor on advertisements as late as 1971. 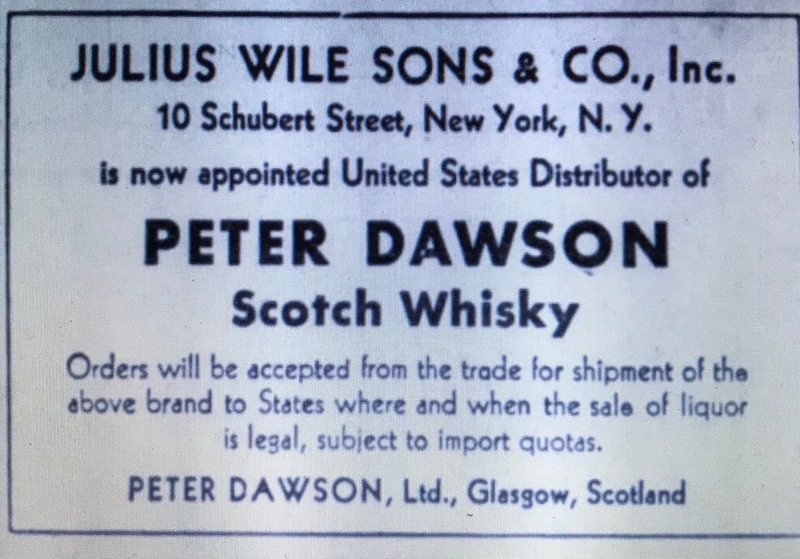 Julius Wile Sons & Co. was a wine and spirits importing company that dated back to 1877, so it’s possible that they also served as Peter Dawson’s distributor prior to National Prohibition but I haven’t been able to verify (or refute) this. 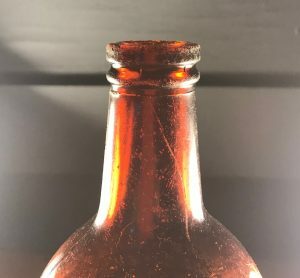 The Peter Dawson Scotch bottle was a unique design that included “brambles” and “dimples” on the shoulder and near the base but leaving a smooth area in between for the label. 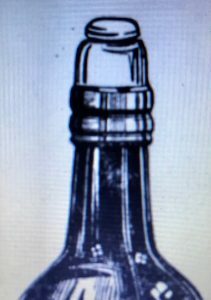 An April 10, 1924 advertisement in the The (London England) Guardian focused on their unique bottle design. The Whisky bottle that gives you inside information. Old masters, bank-notes, and the labels on valuable commercial commodities are so easily imitated nowadays that extra precautions are often necessary. In the case of Peter Dawson, it has been found imperative to adopt, in addition to the label on the bottle, a distinguishing mark which will at once defy imitation and protect both the public and the blender. That is the reason why “brambles” and “dimples” have been grown upon the “P.D.” bottles. It is strange but true that these “brambles” and “dimples” will only grow upon bottles containing whisky that’s genuinely old and mellowed in wood. Seek out the “P.D.” bottle that “brambles” with pride and “dimples” with pleasure. It will give you reliable inside information of a “special” nature. 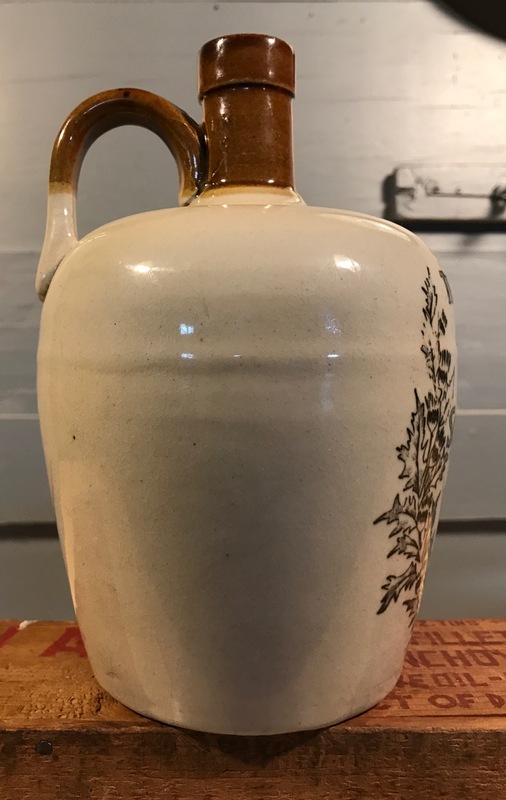 As far as I can tell, the “brambled” and “dimpled” bottle design began appearing in newspaper advertisements in the early 1920’s and the design remained relatively unchanged (other than the finish) well into the 1980’s and possibly longer. 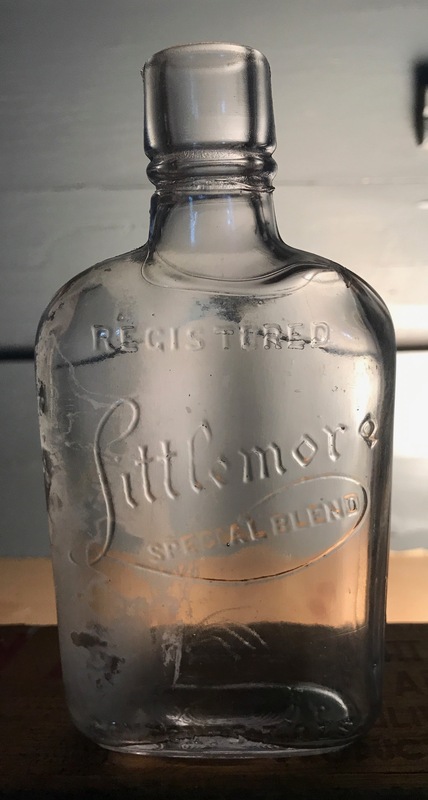 The bottle I found is a machine made quart that exhibits the Peter Dawson “brambles” and “dimples” and matches the bottle in the 1924 advertisement, including the finish. 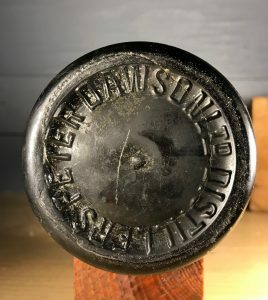 The base is embossed “Peter Dawson Ltd., Distillers.” It doesn’t include the typical post-prohibition embossed phrase: “federal law forbids sale or reuse of this bottle.” As a result, the bottle was most likely manufactured overseas in the 1920’s and smuggled into the United States during Prohibition. Steinhart Brothers & Co. were importers and wholesale liquor dealers based in New York City from the mid-1870’s up to the start of National Prohibition. Four Steinhart brothers: David, Henry, Lewis and Morris were the proprietors of the business and later members of the Strasser family also got involved. The early years of the business were profiled in a booklet entitled “A Souvenir of N.Y.’s Liquor Interests” published in 1893. Steinhart Brothers & Co., Importers and Wholesale Liquor Dealers, Nos. 299 and 301 Patchen Avenue, Corner Chauncey Street, Brooklyn, N.Y.; 121 and 123 Hudson Street, Corner North Moore. – This representative establishment, one of the most progressive, popular and reliable concerns engaged in the great wholesale liquor trade of New York, was founded in 1872, by Lewis Steinhart, the firm becoming Steinhart Brothers in 1878 and in 1887 the present firm was organized, the individual members being Lewis Steinhart, M. Steinhart, H. Steinhart, D.G. Steinhart and A. Strasser. The copartners are all natives of New York, members of the Wholesale Liquor Dealers Association and are energetic, enterprising business men, favorably known in trade circles. The firm opened an uptown branch at Nos. 207 and 209 East 120th Street in Harlem, in 1891, buying out the house of Carson & Carroll. The Brooklyn branch was secured in 1888, the firm succeeding Aug. Immig, who had been established twenty-one years. A bottle and small package business is done at the branches; at the main store the trade is exclusively wholesale. The latter premises comprise a store and basement fully equipped with every facility for the storage of heavy stock carried, the handling and bottling of goods, the firm making a specialty of wines and liquors of their own bottling. A staff of 100 hands in all is employed in the various departments. 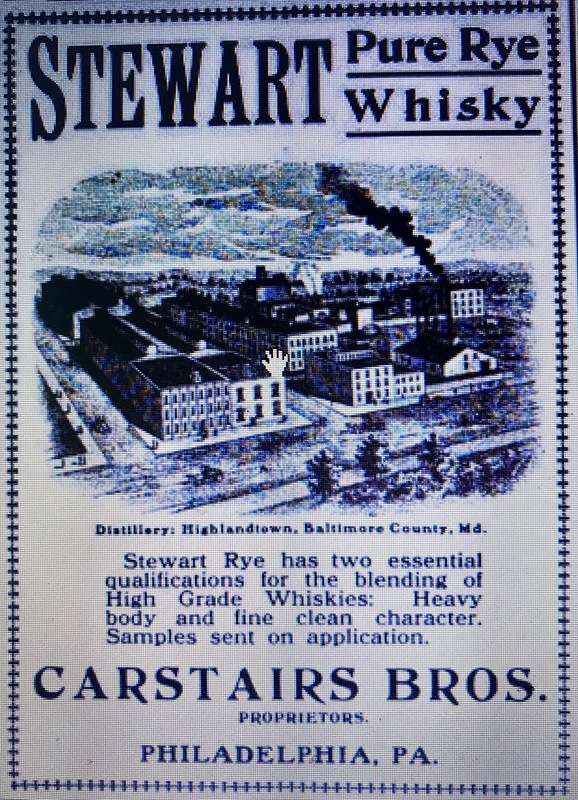 Steinhart Brothers & Co. are general dealers in all the leading brands of wines, liqueurs, cordials, bitters, gins, brandies, champagnes, rums, Irish and Scotch, rye and bourbon whiskies, both of foreign and domestic manufacture, selling the same in bond and tax paid. They are sole agents in the United States and Canada for the original and only genuine A.E. 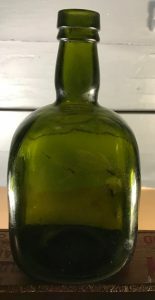 Boonekamp Maag Bitters, established and invented at Antwerp Belgium in 1815. They are also agents for the Dr. Harter Medicine Company, of St. Louis Mo., manufacturers of Dr. Harter’s Wild Cherry Bitters, for medicinal use. Both of these bitters are popularly known and need no praise, their excellence having been fully demonstrated. Those ordering goods from this house will receive honorable and liberal treatment. 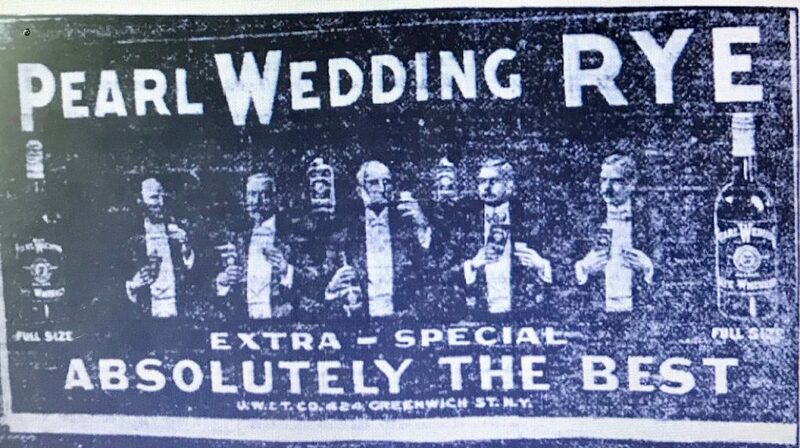 The NYC directories of that era confirm, clarify and add to the early history. Lewis (sometimes named Louis) is the first Steinhart brother that I can find with the occupation “liquors,” supporting the fact that he was the founder of the company. He’s was listed in the 1875 directory with two locations, 143 Broome and 107 Columbia. Morris and Henry follow Lewis at 143 Broome in the 1877 and 1878 listings respectively. Around this time the brothers apparently had a short term business relationship with Bernard Hartman that is not mentioned in the profile. In 1879 and only that year, both Hartman and the firm of Steinhardt & Hartman are also listed at the 143 Broome address with the occupation liquors. David Steinhardt is first listed in the 1884 directory. The first company listing I can find for Steinhardt Brothers is in the 1882 directory. In 1889, the company name changes to Steinhardt Brothers & Co., confirming the reorganization mentioned in the profile. The profile mentioned branch locations that did a retail package business and a main wholesale location. Of the above locations, it’s not clear to me which was which. The profile also mentioned the opening of a Brooklyn location in 1888. A copartnership notice regarding the Brooklyn operation dated February 1, 1889 was included in the August 6, 1889 issue of the Brooklyn Daily Eagle. 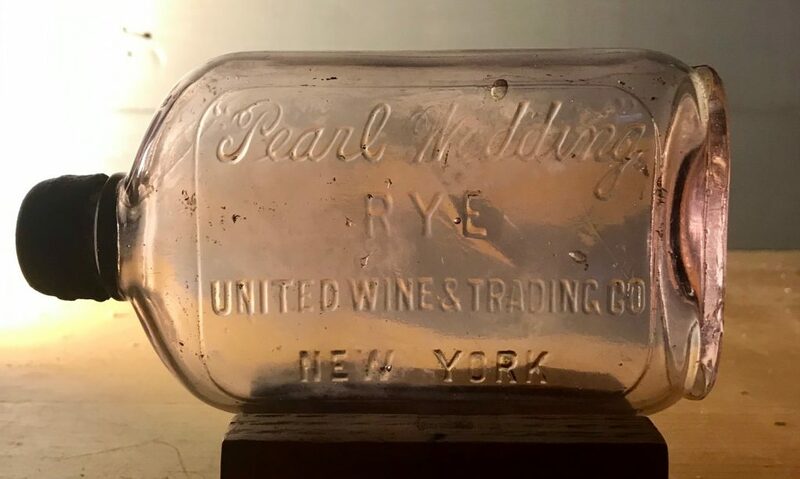 To Whom It May Concern – Steinhart Bros. & Co., of New York and Edward Strasser of Brooklyn, have formed a copartnership to carry on a liquor business corner Patchen Ave. and Chauncey St. under the firm name of Steinhart Bros. & Co. This appears to be the time that the Strassers got involved with the business. 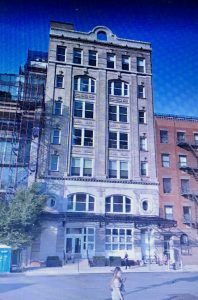 At the same time that Edward joined them in Brooklyn, Adolph Strasser was listed for the first time at each of the Steinhardt Bros. Manhattan addresses. The NYC Copartnership and Corporation Directories in the early 1900’s list nine principals: Lewis, Morris, Henry and David J. Steinhart; Edward, William W. Joseph A. and William Strasser and Louis Fletcher. By 1908, the business was listed as a New York Corporation with Lewis Steinhardt – president, William Strasser – treasurer and Joseph Strasser – secretary. “What was your initial advertising step?” was the next question. 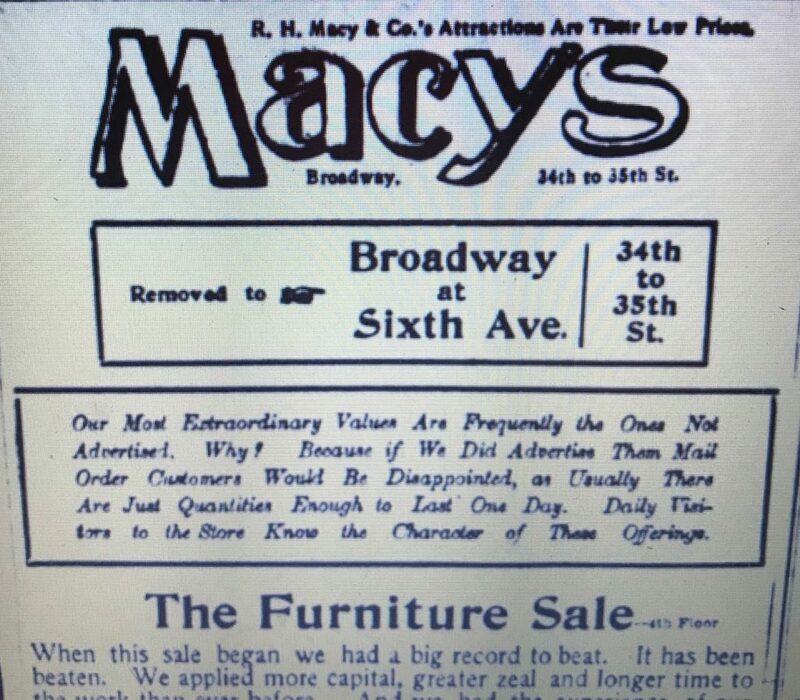 Beginning in the early 1900’s the business had two primary locations, 29 – 31 Ninth Avenue and 2207 Third Avenue and by 1915 they were down to just the Ninth Avenue address. Around this time, Joseph Strasser replaced Lewis Steinhardt as president. Henry Steinhart was vice president but the other Steinhart brothers were no longer listed. 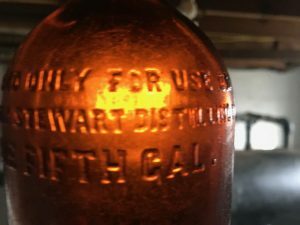 After National Prohibition, it appears that the Steinhart name resurfaced in a company called Steinhadt Company, Inc., located at 644 Greenwich Street. The president was listed as Fred Steinhardt who had previously served as the Secretary of Steinhart Brothers & Co., in the mid to late 1910’s. 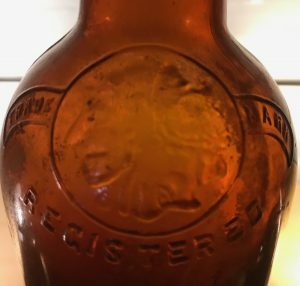 The business applied for several liquor brand trade marks in 1934 including Golden Elk, DuBarry and Littlemore, but I can’t find any information on this company after the mid-1930’s. According to the Tamany Times “The Kintore” brand was introduced into the United States market in 1897. 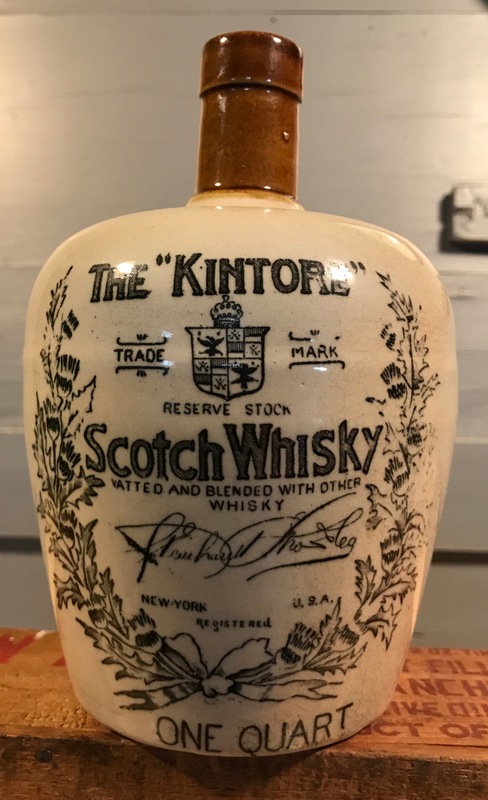 The Kintore brand of Scotch whiskey was introduced into the market at the beginning of the year by Messrs. A. Halliday & Co., No. 17 Harrison Street, this city. It is a very high class Glinlivet production, distilled near the town of Kintyre, warranted ten years old, and a pure distillery whiskey. It has been tested by the best connoisseurs, and the unanimous verdict was, that it is the best in its line. It is finding it’s way rapidly into the hands of the leading clubs, hotels and dealers throughout the large cities, and a great future is predicted for it. Messrs. Acker, Merrill & Condit, Park & Tilford, and the leading grocers, gave it a place at once, and are selling it freely upon it’s merits. 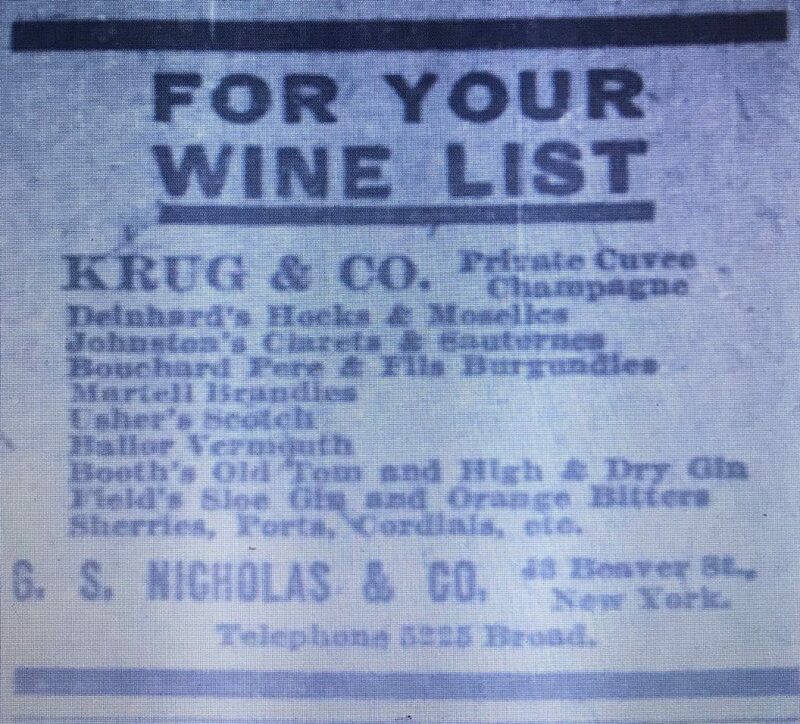 Thirteen years later, in 1910, the NYC Copartnership and Corporation Directory stated that “The Kintore’s wholesale dealer, A. Halliday & Co., was “in liquidation, so it’s very possible that Steinhart Bros. picked up the Kintore brand right around this time. 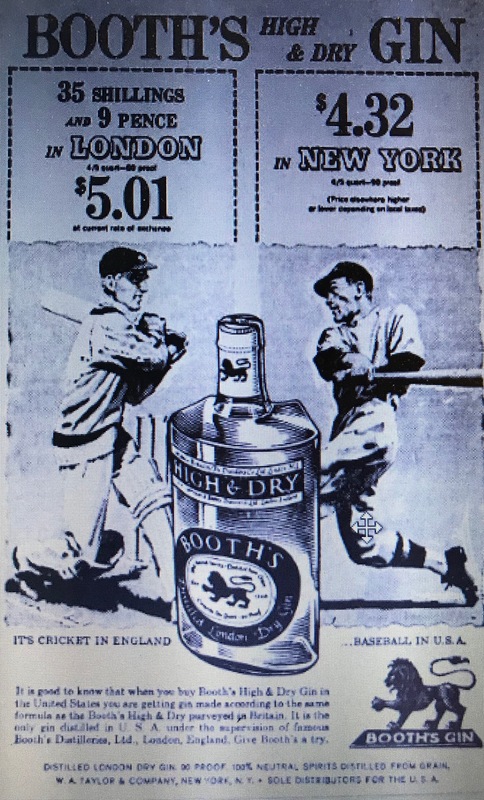 After Prohibition, the Schenley Import Corp., New York appears to have taken over as the product’s importer. The bottle I found is actually a one quart ceramic jug that includes Steinhardt Brothers & Co. written in script. This puts the jug’s manufacture sometime between 1910 and 1919 if I’m right about Steinhart picking up the brand after A. Halliday’s liquidation in 1910. I also found a machine made flask (7 oz) for another Steinhart brand, Littlemore Special Blend. The 1934 trademark application for Littlemore states that the name was in use dating back to 1907 so it also fits the pre-prohibition time frame. “Old Parr” Scotch Whiskey was introduced in 1909 by the Greenlees Brothers of London. The design registration no. 547348 embossed on the base of the bottle dates to between August 10 and August 17, 1909. 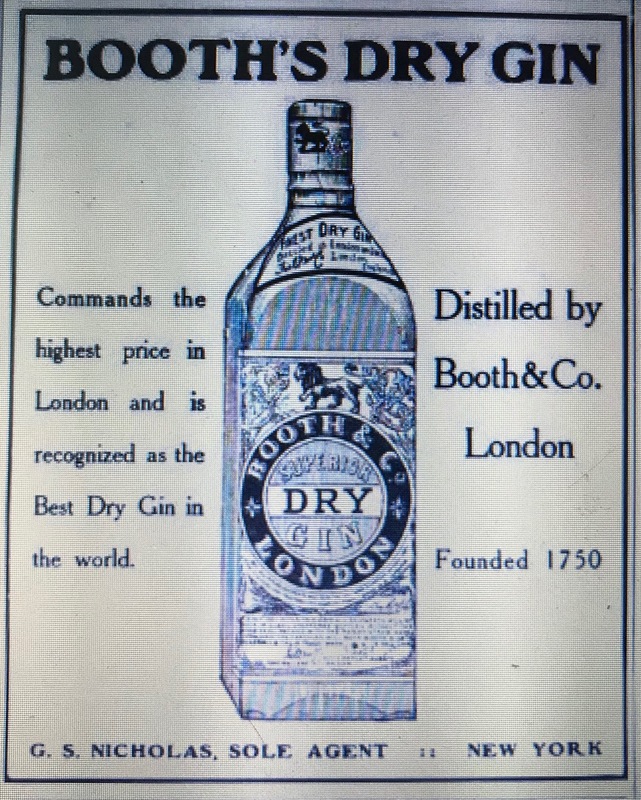 Geenlees Brothers, was included on a list of distillers in an 1874 publication called “London and Suburban Licensed Victuallers Hotel and Tavern Keepers” so the business dates back to at least that far. In 1919 they merged with William Williams & Sons Ltd, builders and owners of the Glendullan Distillery, to form MacDonald, Greenlees & Williams (Greenlees belonged to Alexander & MacDonald at that time). 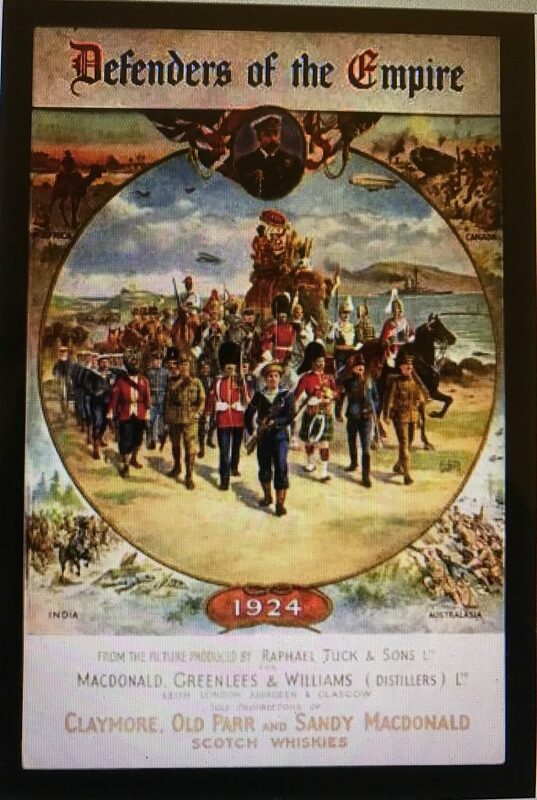 This company listed three brands in a 1924 overseas advertisement: Claymore, Old Parr and Sandy MacDonald (Sandy Mac). MacDonald Greenlees & Williams joined Distillers Company Ltd in 1925, shortening their name to Macdonald Greenlees in the process. Ultimately they ended up with Diageo. The Old Parr brand took its name from old Tom Parr, reputedly the oldest man in Britain. Supposedly he lived for 152 years and at the age of 122 married for the second time. Charles I arranged for him to be buried in Westminster Abbey in 1635. Some say his records were confused with his grandfathers but I like the original story so I’m choosing to ignore this! It’s not clear to me who distributed Old Parr in the United States from 1909 to the start of Natinal Prohibition in 1919. In 1894 Thomas N Dwyer & Co, located at 40 Barclay Street, was listed as the sole agent for Greenlee Brothers but by the early 1900’s they were not listed in the NYC Directories. The Baltimore First, hailing from Halifax and captured off New London June 2, was brought into the city dock here today with her own cargo, 1500 cases of Old Parr Scotch and rye whiskey because of the shortage of space in the New London storehouse. At the end of Prohibition Old Parr was rapidly available again legally. In fact, this December 11, 1933 newspaper advertisement that appeared in several large city newspapers including Pittsburgh, Philadelphia and Baltimore, made it pretty clear that they were accepting orders prior to Prohibition’s official end. Orders will be accepted from the trade for shipment of the above brands to States where and when the sale of liquor is legal, subject to import quotas. According to scotchwhisky.com, Old Parr is still sold today in Japan, Mexico, the U.S. and parts of Latin America, especially Columbia. In this streamlined age, there is sound thought behind the determination of Macdonald Greenlees of Leith, Scotland, to continue to ship Grand Old Parr Whisky to all countries of the world in the old-fashioned untippable bottle. In far-off lands where house servants do not always read english labels, the squat brown flagon serves to identify at a glance this famous product from Scotland. The bottle is the guarantee of the genuine imported Grand Old Parr Scotch Whisky. 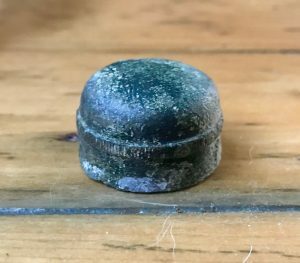 The bottle I found is mouth blown, making me think that it arrived here legally between 1909 and 1919 or illegally during prohibition. It does not have post-prohibition markings (federal law forbids…). 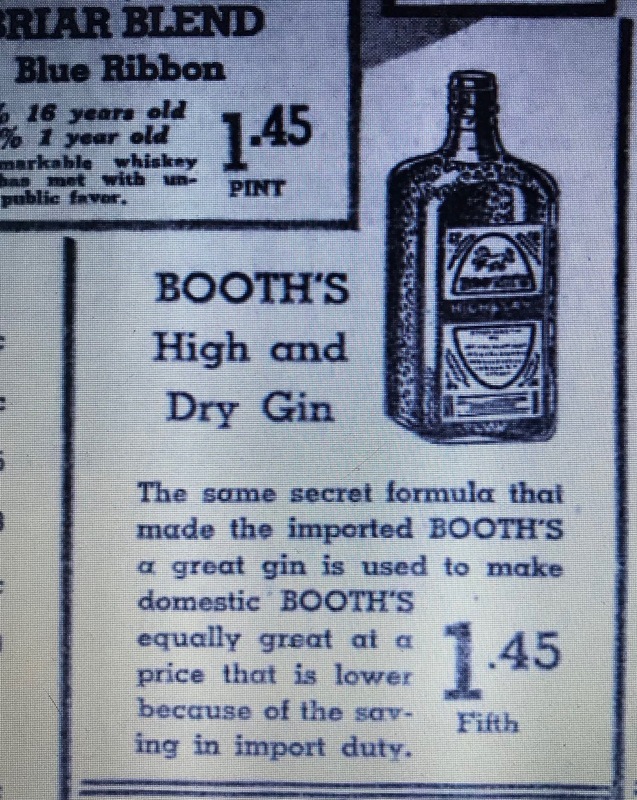 One bottle chat-room connects it with the 1919 to 1925 MacDonald, Greenlee & Williams era but I cannot confirm this. The H stands for Harford B Kirk. The company was a well-known and respected bottler of wines and liquors that was in business for just about 70 years. An early company advertisement in 1860 mentioned Osborn’s Port, Chillingworth’s Port, Brandies, Sherries and Madeiras, Champagne, Rums, Gins, Scotch and Irish Whiskeys as well as ales and porters. The following article in the January 1, 1886 issue of the New York Times provides some basic information on the company. Among the old established firms in New York distinguished for handling reliable goods of the very highest standard is the firm of H B Kirk & Co., whose establishments at No. 69 Fulton Street, the corner of Broadway and Twenty-seventh Street and No. 9 Warren Street are well known and largely patronized. The firm’s specialties consist of the well known Kentucky sour mash whiskies such as “Hermitage,” (both rye and bourbon) “Oscar Pepper,” “Old Crow” rye, of the latter of which H B Kirk & Co have taken the entire production for the last 14 years. They are also the sole agents for the productions of the Pleasant Valley Wine Company, which are known in all the markets of the world as strictly pure and reliable. The business was established in 1852. The NYC Directories back up and ultimately finish much of the story. Harford Kirk, wines, was first listed individually around 1855 / 1856 and HB Kirk and Co was first listed around 1864 /1865. The business remained listed into the mid- 1920’s. After the start of National Prohibition the business was listed as liquors for non-beverage purposes (whatever that means?). I don’t see any advertisements for them during this period so I doubt they were very active if at all. 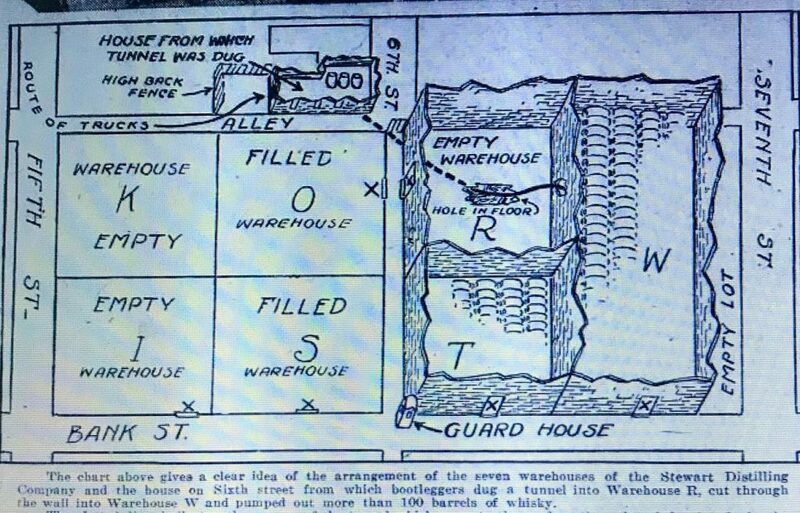 The company was primarily located on Fulton Street, first at 58 Fulton Street and later at 69 Fulton Street up until 1902 when they moved to 156 Franklin Street. After the start of Prohibition they moved to 1475 Broadway. Over the years they also had additional branch locations as well, including the Broadway and Warren Street locations mentioned in the story. As the above story points out, H.B, Kirk was the exclusive bottler of Old Crow Rye. 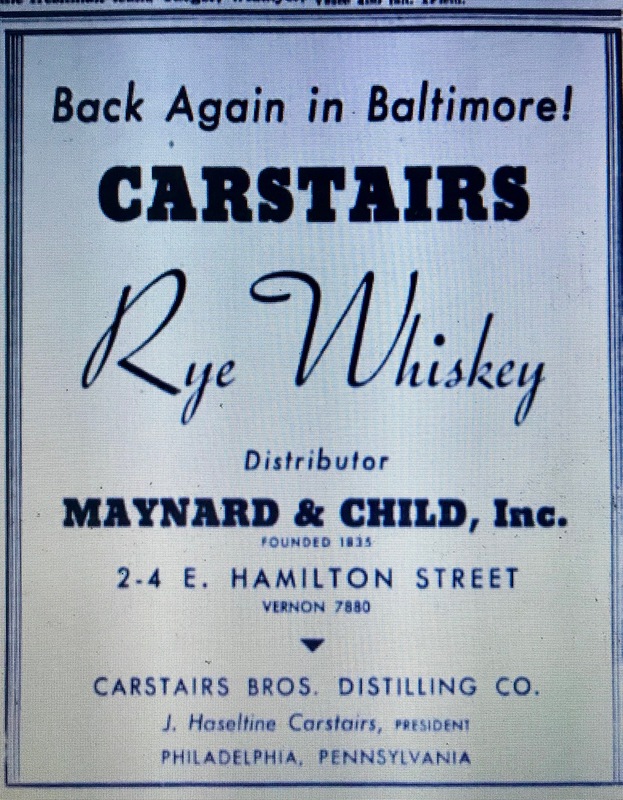 The two firms partnered from the early 1870’s up until the start of National Prohibition in 1919 and Old Crow Rye was considered Kirk’s signature product. The relationship between the two firms is described in the December 17,1905 edition of the New York Times. 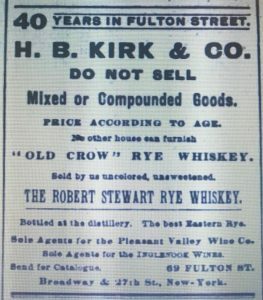 Pretty much every New Yorker who uses whiskey at all has sampled “Old Crow Rye” either at its home, H.B.Kirk & Co.’s famous old place on Broadway and Twenty-seventh Street, or at the homes of his friends. But of this number probably very few know the history of this sterling and time-tried brand, which for many years has stood at the top of all Rye whiskeys. 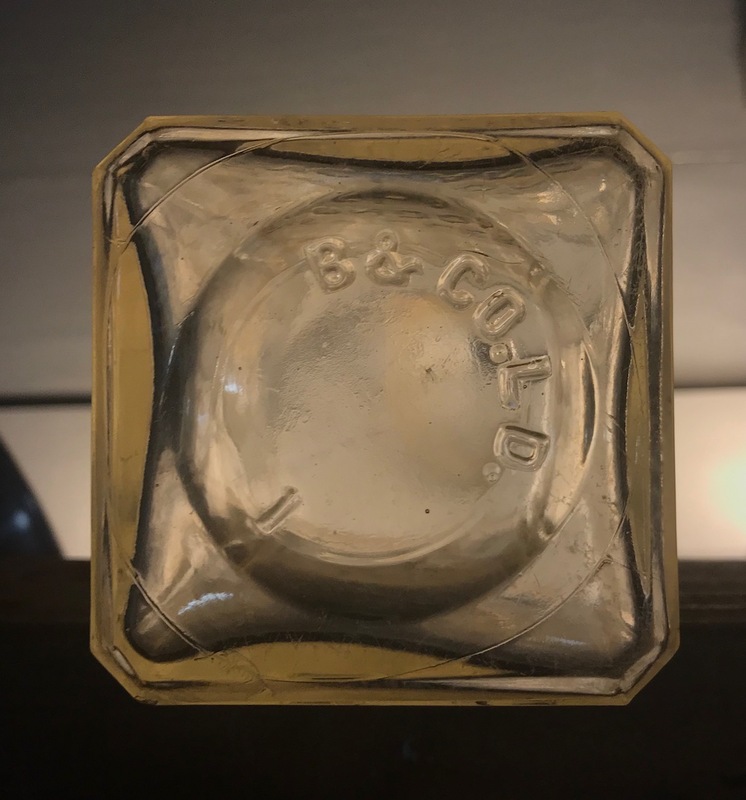 The origin of “Old Crow” dates back to the early thirties of the last century, when James Crow, a noted chemist of that period, settled in Kentucky and applied his knowledge to the distilling of Whiskey. His success was so pronounced that the product of his still became known not only in this country, but abroad, as the best. At the death of James Crow in 1856, W.A. Gaines & Co. secured from his heirs the secret of his great success as a distiller, and have continued the distilling of “Old Crow” in the same manner that was laid down by James Crow, not attempting to improve on his methods, as the results were perfection in whiskey. In 1872, 19 years after his business was established, Mr. H.B. Kirk placed a sample order of 200 barrels with W.A. Gaines & Co. When it came to maturity, Mr. Kirk was delighted with its quality, and placed a large order, entering into a formal contract to take the entire output of the Old Crow Rye distillery. From that day on, the output of the distillery has been increased from year to year, going , as agreed under the contract, exclusively to H.B. Kirk & Co., who are the sole bottlers and distributor of same. In addition to their free bottling at No. 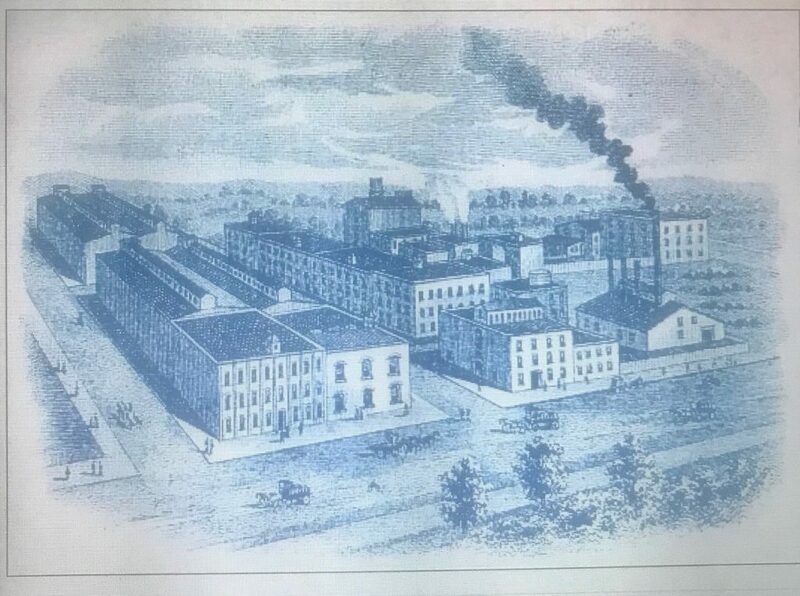 156 Franklin St., New York, they are bottling in bond under the Government supervision at the bonded warehouses in Kentucky. The steady and ever increasing demand for “Old Crow Rye” is a source of great satisfaction to H.B. Kirk & Co., proving that the method adopted at the origin of the company in 1852, and strictly adhered to, of giving the very best that could be produced meets with the public’s approval and secures their patronage. “Old Crow Rye” is sold in bottles only. If offered over any other name than that of H.B. Kirk & Co., it is a fraud. Like the father of our country our Old Crow Rye is honest truthful and always reliable. We see by the papers that a Mr. Lynch has just died in Muncie Ind., at the early age of 120 years, and who for many years took in heavy jags of Old Crow Rye. He was in hard luck. We hope his premature demise will not deter others from using it. On a final note, in 1918 as the government was getting ready to enact National Prohibition and basically shut them down, H.B. 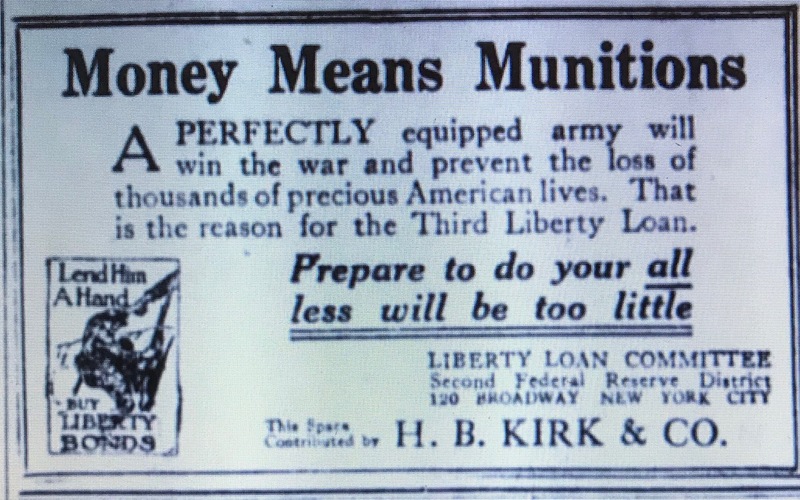 Kirk still contributed advertising space to support the war effort. 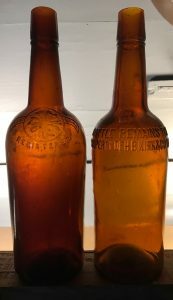 I found two identical bottles embossed “Bottle Remains the Property of H B Kirk & Co NY”. On the opposite side there’s an embossed insignia consisting of what looks like three faces. 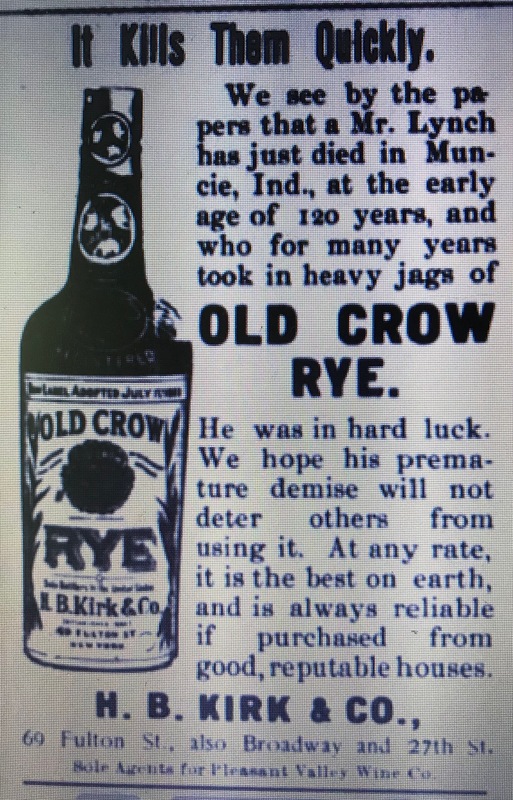 Most likely, they contained “Old Crow” Rye. 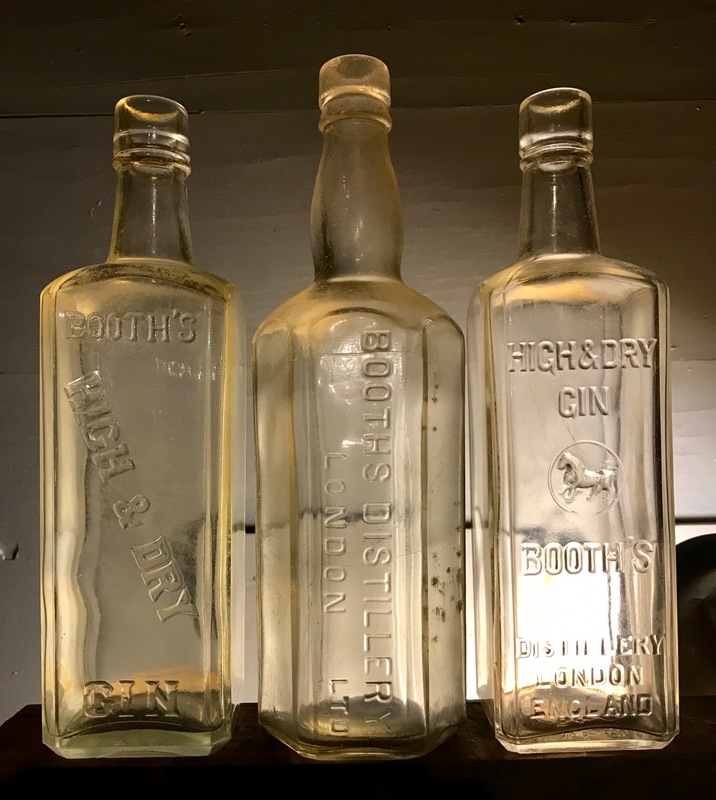 The initial Gordon’s Distillery dates back to 1769 in London and they began making a form of dry gin sometime after the advent of continuous distillation in the 1830’s. 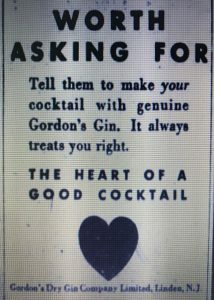 Gordon & Company merged with Tanqueray in 1898 and it was around this time that listings for Gordon Dry Gin began to appear in U.S. newspaper advertisements. 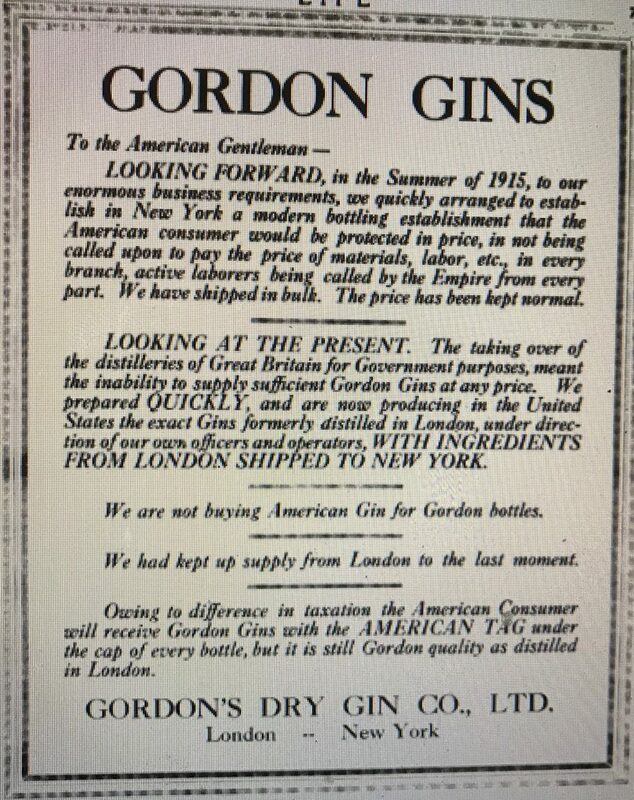 The first mention that I could find in a New York City newspaper were several advertisements for Macy’s, who listed Gordons Gin under the heading “Fine Wines for Medicinal Use.” According to this advertisement, printed in the February 19, 1903 issue of The Sun, you could find Gordon’s Gin on the fifth floor. 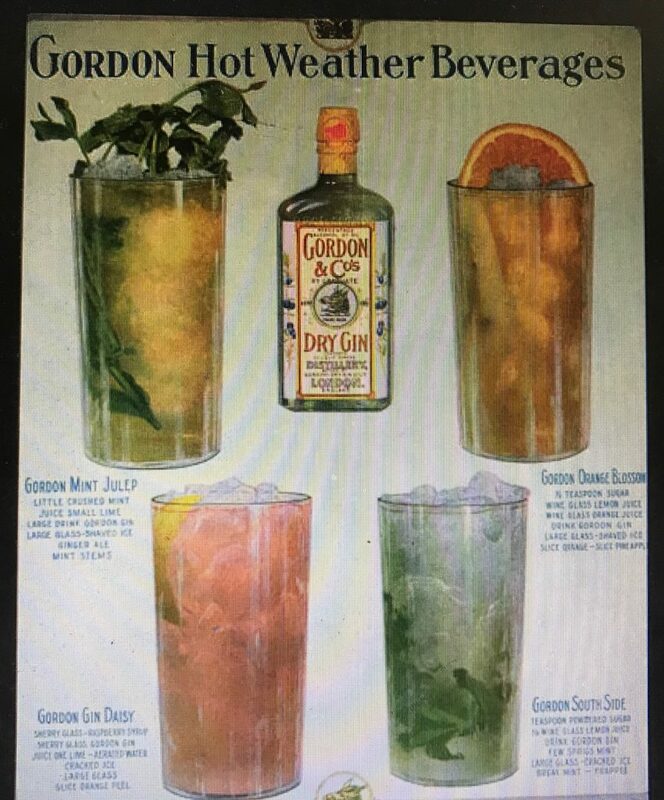 Gordon’s advertisements in several 1915 issues of Life Magazine advertised drinks that were made with Gordon’s Gin. These included mint juleps, orange blossoms, gin daiseys and south sides. 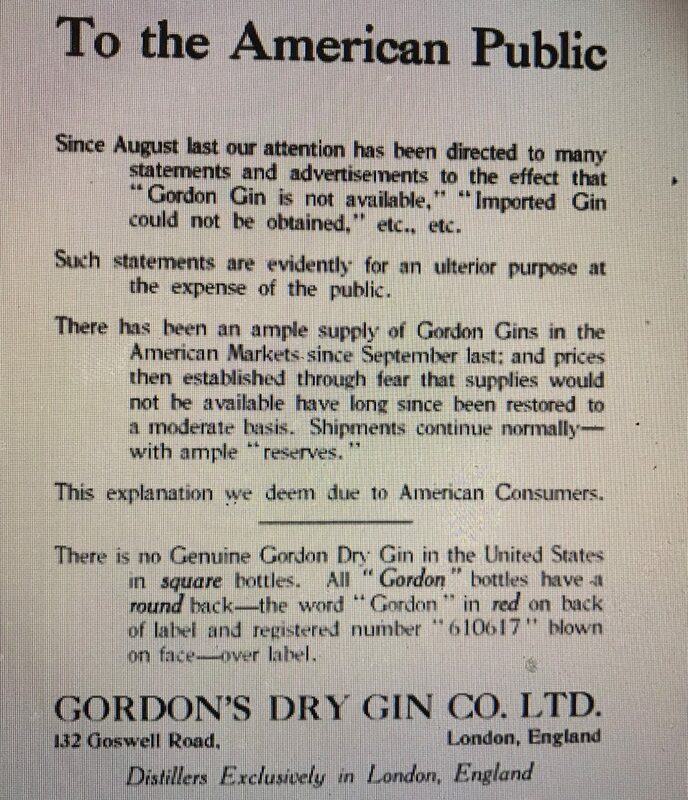 Around this time, Gordons was apparently having problems with supply, price and authenticity in this country. Statements made to the American public contained in Life Magazine bear this out. The content of two statements is shown below. 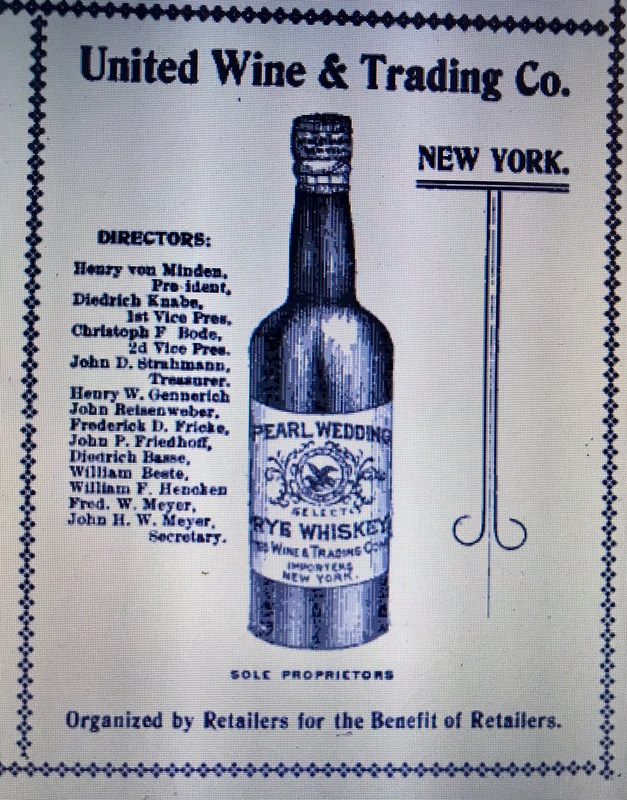 This last advertisement mentioned the establishment of a modern bottling operation in New York City which they apparently accomplished in 1916. 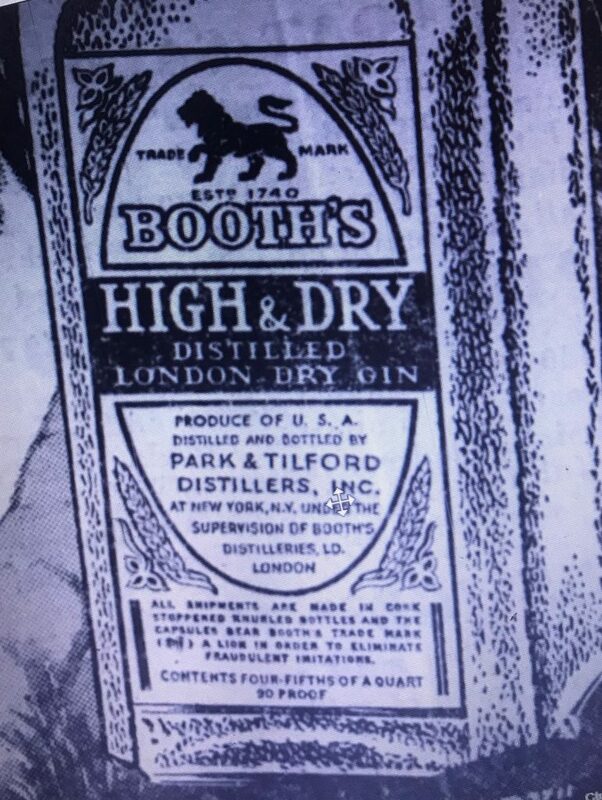 It was listed in the various NYC Directories between 1916 and 1922 as Gordon’s Dry Gin Co., Ltd, a New York Corporation located at 101 Park Avenue. Not surprisingly, by 1925 they were no longer listed. In 1934, shortly after Prohibition ended, Gordon’s opened a United States distillery in Linden New Jersey. The plant remained in operation until 1984 when Distiller’s Company Ltd., who had acquired Tanguery Gordon & Co. in 1923, closed it down. Most of the 1930’s post prohibition advertisements that I could find reference the Linden N.J. location. Gordon’s is now part of Diageo. Today, 101 Park Avenue is a 49-story skyscraper opened in the early 1980’s that in no way is associated with the business. 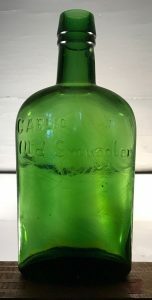 The bottle I found is a typical Gordon’s bottle described in the statement above with space for the label below the embossed registration number. 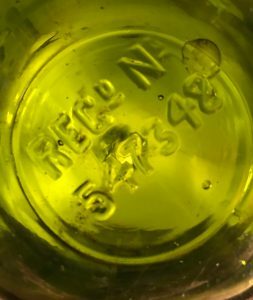 The Design Registration No 610617 on the bottle that I found dates between 1912 and 1913. It’s mouth blown and that makes me think it was imported from England between 1913 and 1915 and not made in the United States. Anything made in the United States in 1916 from a newly established bottling plant would probably have been machine-made. I have also seen machine made versions of this bottle that were likely made in America. Author baybottlPosted on November 7, 2016 January 5, 2018 Categories LiquorTags antique bottle, BIM, Linden N.J., Summerset Importers, Tanguery Gordon & Co. According to Internet sources the Old Smuggler brand dates back to as early as 1835. The first mention of the brand that I could find associates it with the Stirling Bonding Company, founded in 1878. They registered “Gaelic” as a trade name in 1884 and “Old Smuggler” as a trade name in 1887 but were probably using them before they were registered. The business carried on formerly by the Stirling Bonding Co was founded in 1878 for the purpose of shipping high class whiskies to the colonies and the company has since done a profitable and steady export trade. The company’s brands have since been in high repute and it is anticipated that with increased capital a larger and more profitable trade will be done. Based on the above statement it’s safe to assume that Gaelic Old Smuggler began being shipped to the United States prior to 1894, probably sometime between 1878 and 1887. P W Engs & Sons was the bottler/distributor for the Craigellachie-Glenlivet Distillery Co. in the U S during this time. They were a reputable wholesale Liquor Dealer in NYC dating back to 1808. 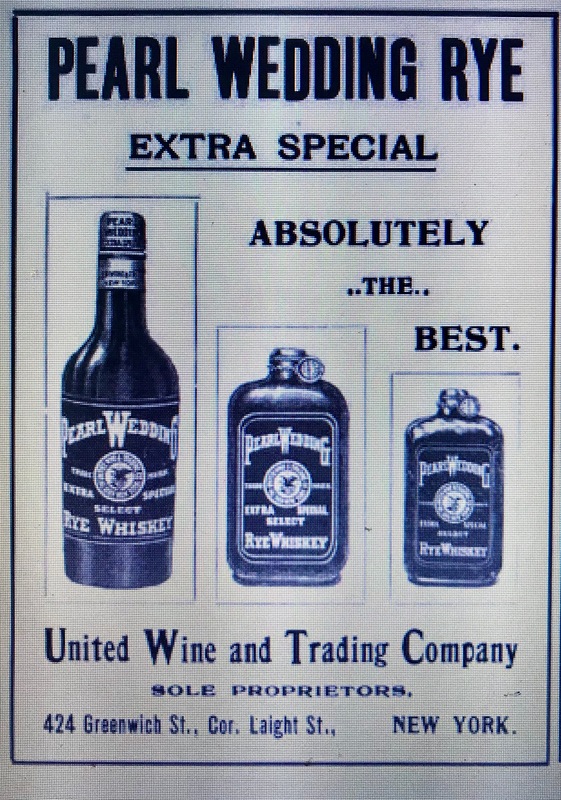 An article in an 1898 issue of the Pacific Wine & Spirit Review stated that Engs was a bottler for the Glenlivit Distillery and P W Engs, 268 West Broadway, was also listed with Craigellachie-Glenlivet in the 1903 and 1904 Importers Directory of the Wine and Spirits Bulletin. Genuine Old Scotch Whisky in moderation, is the safest and most economical beverage on account of its refreshing and stimulating qualities. Gaelic Old Smuggler is a genuine Scotch Whisky, matured for 10 years in sherry casks and possessing those subtle ethers and higher alcohols only found in the very highest class Whiskys. It has stood the public test for half a century. 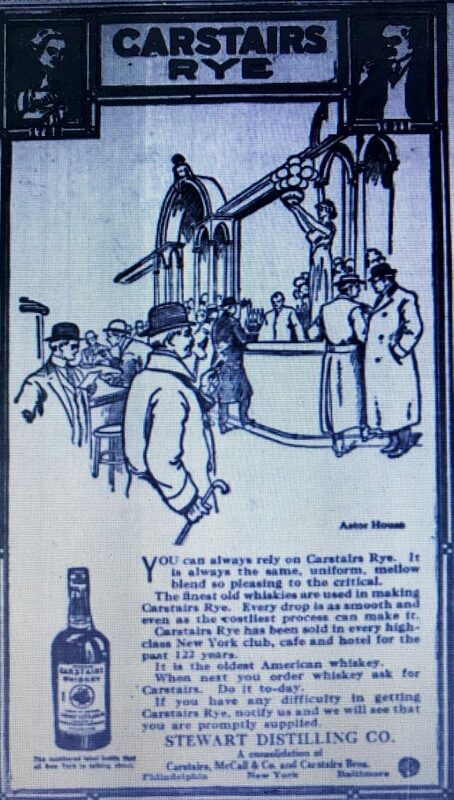 Another advertisement, this one from July 31, 1912, exhibits a squat, cylindrical bottle, similar to the one I found. In 1921 the Stirling Bonding Co, then a subsidiary of Craigellachie-Glenlivet, was acquired and made a subsidiary of a company called Stodarts. 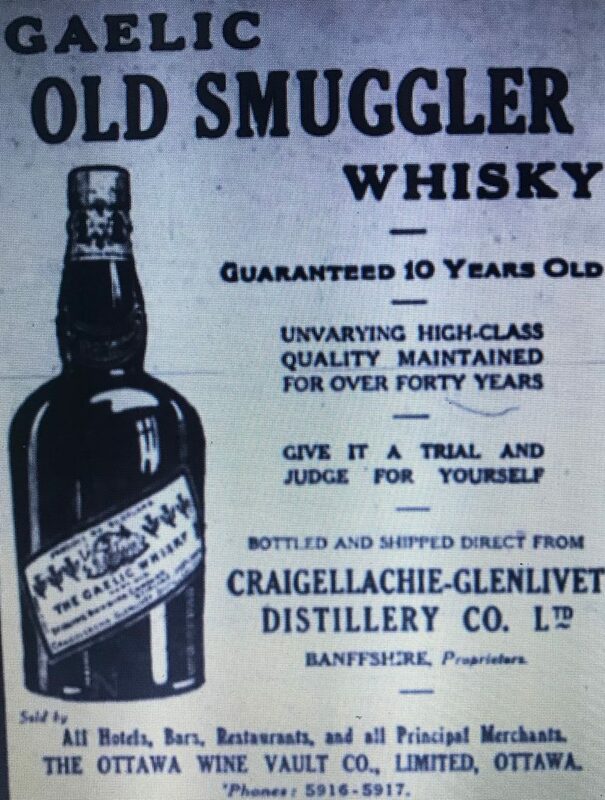 During prohibition, they shipped Gaelic Old Smuggler to Canada and the Bahamas but there was little doubt it was intended for re-export to the United States. Among its illegal receipiants in the U S were Jack Kriendler and Charlie Berns, proprietors of the 21 Club, a famous speakeasy during the 1920’s in Manhattan. They later became the whiskey’s distributor in the U S.
In 1930 the Canadian firm Hiram Walker acquired a 60% holding in Stodarts and the Stirling Bonding Co. The Old Smuggler brand remained with Hiram Walker and was subsequently passed on to Allied Distilleries. In 2006 Gruppo Campari acquired the brand. I’ve found two Gaelic Old Smuggler bottles. 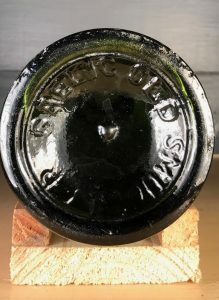 One is a mouth blown squat cylinder that most likely dates from 1894 when Craigellachi-Glenlivet acquired Stirling to as late as the mid-teens. The other is a machine-made pint sized flask that appears to date to just prior to or during the Prohibition era.